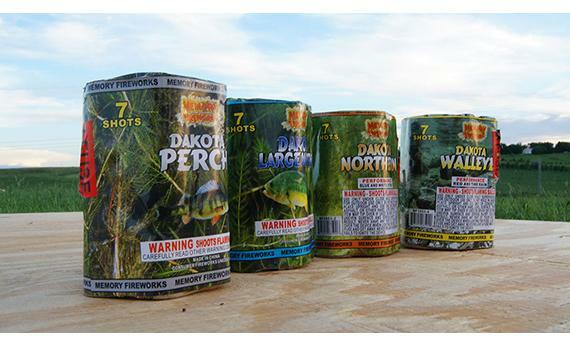 New for 2015 we have added a group of four small multi-shot cakes, the Dakota Fish, to our Dakota Series. The Dakota Perch, Dakota Largemouth, Dakota Northern, and Dakota Walleye. These pack a lot of bang at a very affordable price!